Whistler Wedding Photographer engagement Shannon falls - Best Vancouver wedding photographer Jozef Povazan Photography studio. Whistler Wedding Photographer engagement Shannon falls session photographed by Jozef Povazan Photography. Award winning Vancouver destination photographer. Sea to sky gondola and Shannon falls are simply wonders of the BC. Pristine nature and easy access to it makes it ideal shooting locations for pre wedding sessions. 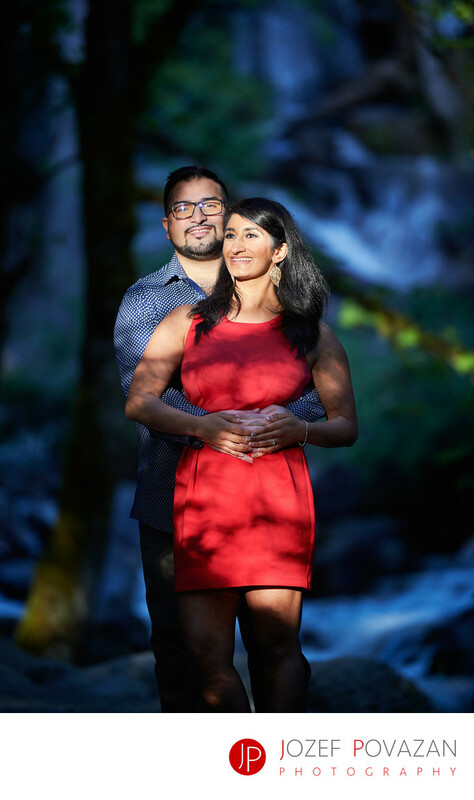 This Indian couple has decided to have theirs engagement story captured here to show who they are and how much they like nature here in British Columbia. The patch of light coming from the sun setting down gives this cute couple a studio like look. What can be better then real sunny ambient light for great outdoor portraits. if you love creative and unique pictures then I would love to HEAR from you. My name is Jozef and I am a photographer.